Since opening in 1989, Klopp's Transmission & Auto Repair purpose has been to grow our business on a foundation of honesty & integrity. Our team believes that when finding an experienced automotive technician that be can be trusted, that technician becomes a a valuable asset to an automobile's overall stability and performance. 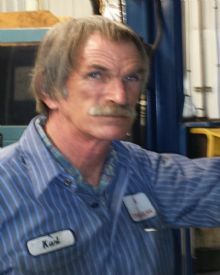 Additionally, having a great mechanic like those employed at Klopp's Transmission & Auto Repair will assist in preventing costly breakdowns and repairs. At Klopp's Transmission & Auto Repair, we develop routine maintenance plans for our customers' vehicles, plans that adhere to manufacturer's recommended service schedules and individual driving habits. 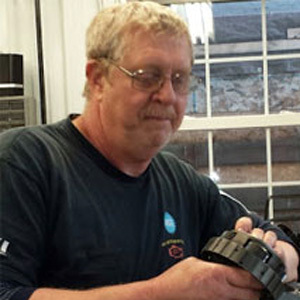 Conveniently located at 362 Park Avenue in Corning, Klopp's Transmission & Auto Repair is a full-service automotive service center that performs factory scheduled maintenance on vehicles, oil changes, wheel alignments, tire rotations, brake inspections, suspension repair, car batteries, and even completely rebuilt transmissions. With decades of cumulative automotive service experience, Klopp's Transmission & Auto Repair is proud to be the ideal alternative to having a car repaired at a local dealership on Corning. We stand behind our work with a warranty that is honored across the entire United States should there ever be a problem with a vehicle after being serviced at our repair shop. Klopp's Transmission & Auto Repair has been helping owners of both domestic and European vehicles that include BMW, Audi, Ford, Land Rover, Chevrolet, Volvo, Dodge, and Buick experience the next level of vehicle performance. When our specialists open customers' hoods, the return on investment is fully realized. Our service expertise is the greatest asset of our business and the reason our customers have kept returning since we opened our doors in 1989. Klopp's Transmission & Auto Repair invites you to take advantage of our easy 24/7 online scheduling! Simply complete and submit the appointment form to schedule your repair. Klopp's Transmission & Auto Repair offers our customers in the Corning area nationwide protection. Our warranties are among the best in the automotive repair industry. Klopp's Transmission & Auto Repair is always interested in hearing from qualified individuals seeking employment at our Corning automotive repair shop. If you are interested in joining the Klopp's Transmission & Auto Repair team we want to hear from you. Klopp's Transmission & Auto Repair is pleased to introduce our valued team of automotive repair & service specialists. Our staff is dedicated to ensuring our customers get only the best auto repair in Corning, at the right cost, and to their complete satisfaction. Dan started this business in 1989 & had previous experience in car repairs as he started working on cars when he was in high school. 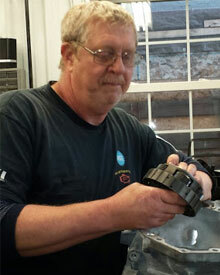 If you are in need of a transmission rebuild technician in the Elmira ~ Corning area then Dan is your man! 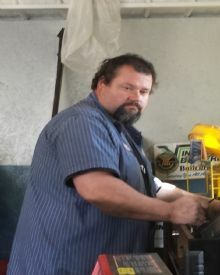 Dan is an ASE Certified master mechanic which means he is certified in all 8 areas of automotive repair so when you bring your car or truck to our auto repair in Elmira ~ Corning you can rest assured you will get only the best automotive service available. Dan has lived in Elmira ~ Corning New York all his life and married his high school sweetheart Cheryl. Together they have 2 children & 3 grandchildren. When Dan is not rebuilding automatic transmissions he enjoys cooking, gardening,& watching sports especially basketball. He also has built several transmissions for the areas biggest modified racers. 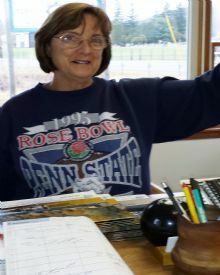 Cheryl started as an Office Administrator in 1994 after 20years in nursing. Cheryl can answer almost any question you have about your vehicle & she has knowledge in all car problems. Cheryl has been married to Dan for 38years and together they have two daughters, Melissa & Michelle. They also have 3 Grandchildren, Michael, Kathleen, & Eva. Cheryl enjoys going to church, gardening, watching sports especially basketball, and enjoys spending time with her grandchildren.